Newberry, S.C. – Edgefield County students, Nicole Jackson and Abbie Miller, were among a select group of high school juniors and seniors from around the state who recently participated in the 2014 South Carolina Farm Bureau (SCFB) Youth Leadership Conference. “Our Youth Leadership Conference allows students to explore opportunities within agriculture while developing their skills to be leaders in the industry,” SCFB Ag Literacy Director, Vonne Knight, said. 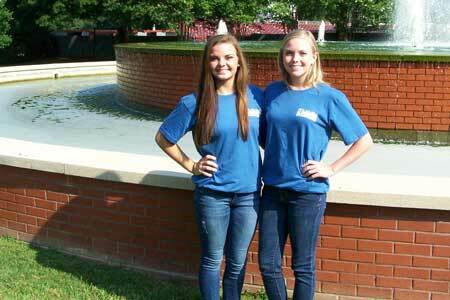 The conference was based at Newberry College and featured a number of workshops focused on leadership and teamwork. Programs that foster understanding and awareness of agriculture and government were also emphasized. Attendees learned about their local, state and national governments and how they can be advocates through the legislative process. A highlight of the conference included a visit to the South Carolina State House where the students witnessed the swearing in of Interim Lieutenant Governor State Senator Yancy McGill of Williamsburg County. The conference operates on a two-year curriculum cycle where students learn about agricultural marketing and promotion one year and about government relations and agricultural advocacy the next. “South Carolina’s agricultural industry is a vital part of the state’s economy. We advocate so our kids and grandkids can farm long after we are gone. Educating our youth on opportunities available to them within the agriculture industry is the first step in involving students so they can have a lasting voice in today’s issues,” said SCFB Federation President and Sumter County farmer David Winkles.